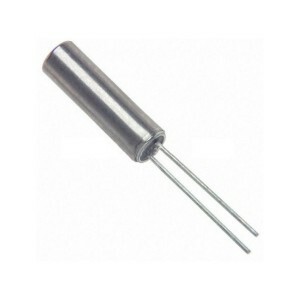 The 32768 Hz quartz crystal is a low-power oscillator designed mainly for timekeeper products such as wristwatches and clocks. The 32768 Hz quartz crystal is a low-power oscillator designed mainly for timekeeper products such as wristwatches and clocks. Most quartz watches use this quartz crystal which oscillates at a frequency of 32768 Hz.